Ministerial Cabinets As Most Governments Have Today Were Introduced By the Moors in Cordoba. 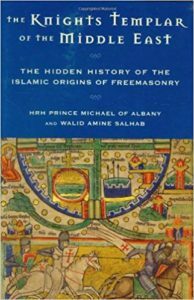 See The Hidden History of The Islamic Origins of Freemasonry. The various municipal administration posts were filled through the concept of merit and commitment. Loyalty was the key. In fact, ministerial cabinets as most governments have today were introduced by Cordoba. 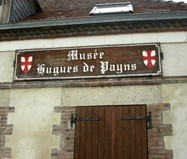 These ministers (viziers) specialized in matters such as finance, trade, justice, diplomacy and war. The concept of law, that is to say civil rights, was also introduced in Europe via Cordoba. Municipal judges(Cadis) heard personal, property, commercial and tax cases of all sorts (people could be taxed as low as twenty percent or at most in times of need, up to fifty percent but never more). These Cadis protected in law, the ordinary subjects, whether Muslims, Christians or Jewish, from the worst exaction of landlords, merchants and even high officials. They were also in charge of keeping a check on the coinage, weights, measures and the renting of market-stalls and warehouse space. Altogether, Spain under Islam was better off, more efficient run and tolerant than it would become when conquered on behalf of the Church of Rome in the fourteenth and fifteenth centuries. 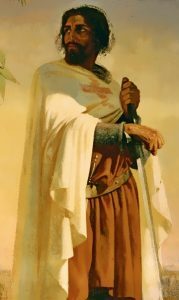 For the first time ever, a source from within reveals the shocking truth that the roots of the Knights Templar, and thus those of Freemasonry, were actually more deeply linked to Islam than to Christianity. The Knights Templar of the Middle East breaks new ground in this well-tilled sphere and is guaranteed to stir more fires of controversy than any other book to date on Freemasonry and Templars. Prince Michael writes with sterling scholarship, making full use of his access to libraries of the secret orders of which he is a member. The book delves deep to examine the true roots of this worldwide society, revealing both historical events from Europe to the Middle East and the author’s own deeply personal, perilous journey to research and expose this hidden history. Going against the accepted history of the Freemason society as evolved from a remnant of Knights Templar who settled in Scotland, The Knights Templar of the Middle East takes readers much farther back to the true historical biblical land, based in Western Arabia rather than Palestine. 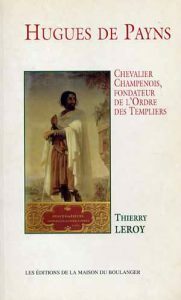 The true secret of the Inner Circle of the Order of the Templars was such that, had they revealed it, the knowledge would have rocked the cradle of Christian and Judaic beliefs. The Gnostic movement spread far and wide. In Africa, the original Essene ministry had been led by Jude, the third son of Mary and Joseph, who had settled in Mauretania (present day Morocco). In fact, his daughter Anna married into the Mauretanian royal family, which, in turn, descended from Queen Cleopatra VII and her fourth husband, Marc Anthony. (History tends to forget that Cleopatra was quite fruitful. She gave birth to Julius Caesar’s son, Ptolemy Ceasareon, and gave Marc Anthony two sons, Alexander Helios and Ptolemy Philometer, and one daughter, Cleopatra Selene.) Cleopatra Selene married King Juba II of Mauretania (thus bringing a strong lineage from the Barcha family and an ancestry that can be traced far back as the sister of Hannibal the Great.) It is from this union that both Jannai (John) Marcus (later to be known through a deliberate mistranslation as the apostile Bartholomew) and the later Idrisid kings of Morocco are descended. From North Africa, it soon spread to the European continent.